Goliath: Expect Big Things From This Mech-Building ARPG | "DESTROY ALL FANBOYS!" Octopus Tree is a brand new publisher with a couple of really impressive looking upcoming titles. The one that jumped out and bit me the hardest (ouch!) 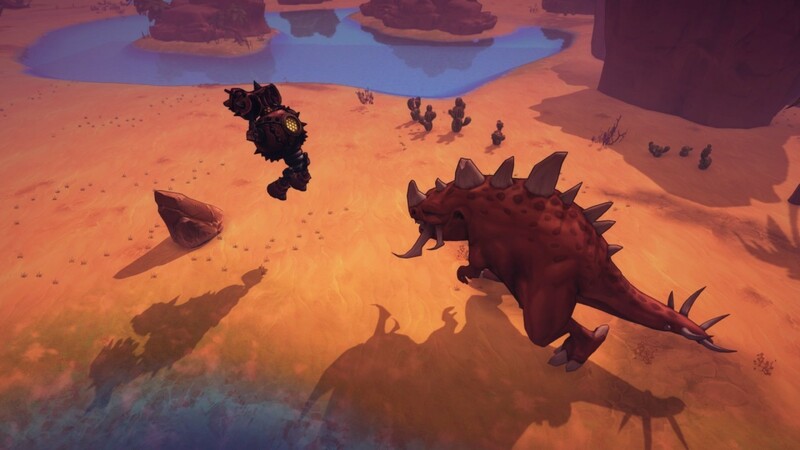 was Whalebox Studio’s Goliath, an action/adventure RPG coming to Steam on May 12 for $19.99 where you build robots and take them out for some quality time in order to meet other like-minded robots and other big beasts with the intention of nicely or not so nicely knocking the stuffing out of them. Goliath puts players in a world where massive monsters roam freely and gamers scavenge for resources and materials to create powerful giant robots called Goliaths. Goliaths can be customized and outfitted with weapons for various situations and battle preferences. Players can also create items and tools, build their fortress and find new allies, and choose which factions to support in the war that is sweeping across the world. Build, Create and Destroy: Construct and customize giant Goliath robots, crafted from the materials found and tools earned along your journey to help level the playing field against the world’s colossal beasts. Adapt to Your Environment: Players must consider how different weather conditions affect various Goliath types while interacting with countless creatures to hunt and fight. Boss Battles: Battle gigantic bosses that dwarf your massive mechanized warriors! Cooperative Multiplayer: Goliath supports four-player co-op. 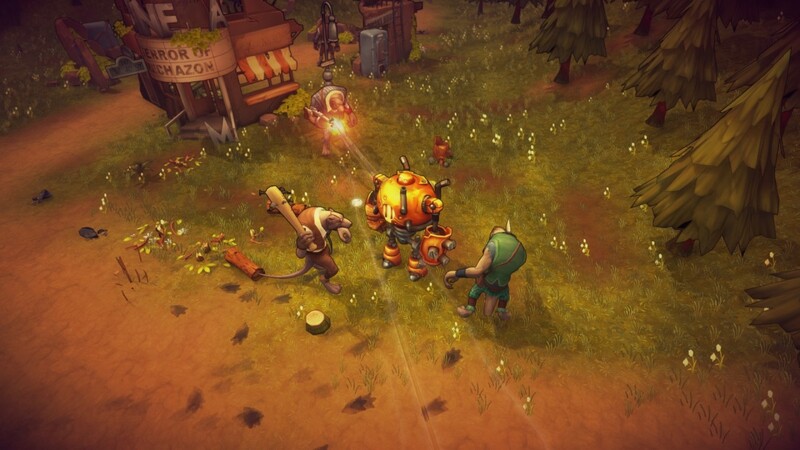 Each player’s world has unique quests and rewards, and any loot you earn in co-op can be used in single-player mode. There goes my other half of May, I suppose. I’d hire a helper monkey to play all these games while I sat there and wrote about them, but that furry jerk would have more fun than a barrel of himself and that’s too much entertainment for one monkey to handle. I guess I should go see about getting a code, huh? Hey, Danitraaaaa! I’m going to bug you about Goliath shortly – keep your ear to the ground. This entry was posted in 2016, Commentary, DAF, Features, Humor, Updates and tagged BUY This Game, Coming Soon, Digital Games, Downloads, Gallery, Goliath, In Development, Indie Games, Octopus Tree, PC, PC Games, Screenshots, STEAM, Valve, VGA 101, Videogame Appreciation 101, Videogame Trailers, Whalebox Studios, YouTube by geelw. Bookmark the permalink.